For those that want a little extra incentive to shop the shop- here's a coupon code for you! 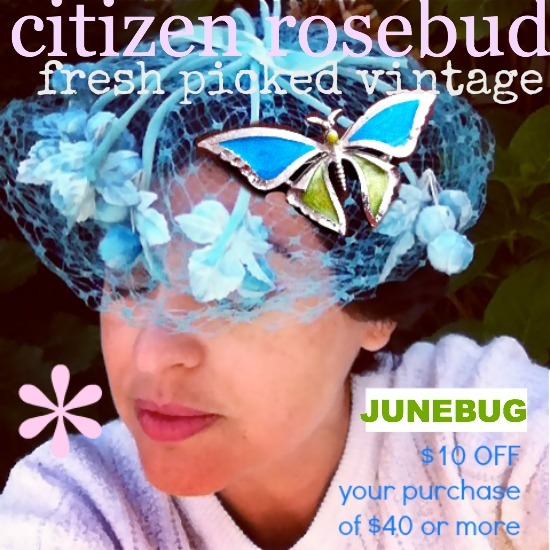 Use coupon code JUNEBUG at checkout and take $10 off your purchase of $40 or more. That is a fabulous hat! thanks for the treat - love that hat!! I love your store. I visit is quite often just to check up on what's new! Do you know you have a very perfect mouth?